It’s no secret that we’ve become suckers for just about anything adorned by Country Club Prep‘s mascot, Longshanks. That little madras fox has found his way onto a number of things over the last couple of years, and today’s pick might be our favorite yet. 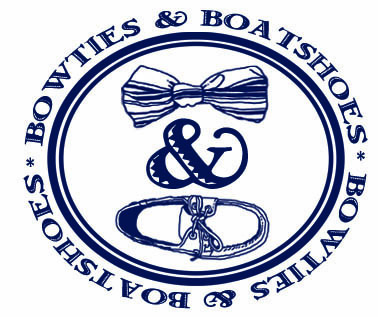 Yes, Longshanks has finally been immortalized on a bowtie thanks to the gang at Dogwood Black. Made down in Fredericksbug, VA, this 100% silk bow is a great way to add just a bit of color without going too far over the top. The aqua and pink stripes really pop off of the navy base, and, of course, the Longshanks print will never disappoint. 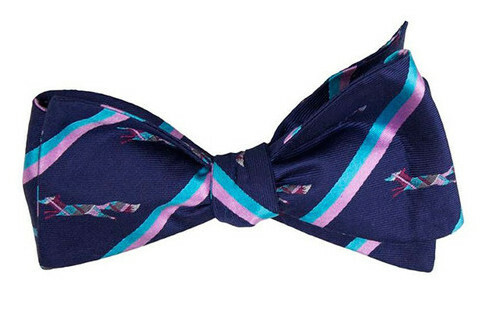 For a day or campus, or a day in the office, this bow is always a good pick. Also, if you get your order in between now and Tuesday you’ll save 20% with the code LABORDAY at checkout on orders over $50.